Of all pet owners, those people who have dogs are perhaps the most devoted and may even reluctantly admit to being a little obsessive – ok, VERY obsessive! Indeed, they don’t even like to be called “owners”, preferring to think more that their hound is simply a member of the family, just as their children are. If you have a quick look on the social media pages of people who live with dogs, you will actually see there are more pictures and stories concerning their canine family members than there are of the human ones! 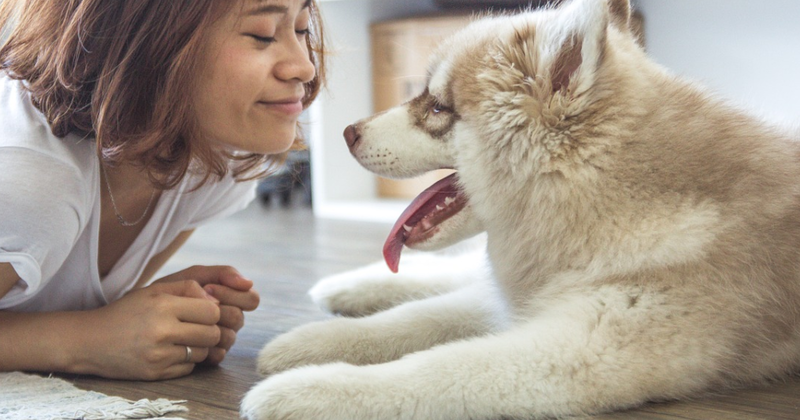 No surprise then that when that dog becomes ill it is almost, if not equal to, the trauma and concern felt when a child or partner is suffering some malady and just as with the human patient, seeking out the best care and treatments are of paramount importance. Just as in the human world the desire to use natural remedies as opposed to synthetic, chemical-based treatment is extremely popular when it comes to our dogs and this article will hopefully help you find a few of the best available when it comes to one of the more common forms of medicine, the anti-inflammatory. There are many natural alternatives to pharmaceutical anti-inflammatories to be had, Yucca, Fish Oil, and Glucosamine are three that spring to mind when it comes to the treatment of such problems as Hip Dysplasia, Arthritis, Bowel disease or any other chronic inflammation condition, but there are other, better, natural anti-inflammatories out there like CBD Oil for pets, but before we explore what they are, first let’s get to the bottom of just what inflammation is and the problems it causes. Inflammation is a process that protects us when we are injured or unwell through disease. White blood cells rush to the affected area and surround the wound or point of infection. Fluid is then released which surrounds and protects the distressed area. This gives us the swelling we see after banging our knee or after suffering an insect bite. This protection allows tissue to heal and our immune system to deal with whatever has ailed us. Whilst almost the perfect system, problems can arise when the inflammation persists longer than is needed and begins to cause more harm than good. This is most significant when the original problem is within the body rather than on the surface of the skin. Dogs can suffer from two kinds of inflammation; chronic and acute. Acute inflammation being the most widespread and is the kind we have just discussed in that it can be in the form of a cut or gash which becomes red and swollen as the white blood cells rush to the injury to do their stuff and the immune system then fights any bacteria within the wound following which it is allowed to heal. As you can see and feel the swelling it is easy enough to monitor and, in most cases, will disappear after a few days to a week or so and if the desired recovery can be assisted and speeded up by treatment with natural remedies. A similar set of events occur if your dog suffers a bout of severe gastritis, this can be caused by the stomach becoming infected with bacteria or viruses or parasites – goodness knows what our faithful friend has been eating while out on a walk and our backs are turned! Other common causes of gastritis can be reactions to medical treatments or the introduction of new and unfamiliar foods. As with a cut the white blood cells rush to the stomach and isolate and surround the area where the culprit causing the problem is. Because this time the problem is deep inside the body the swelling cannot be seen so we might only be alerted to a problem by the dog developing an unhappy mood coupled with it experiencing pain, vomiting and diarrhoea. At this point we can help the white blood cells by seeking appropriate natural medication and again the problem should rectify itself relatively quickly without the need for drastic action such as surgery. Chronic inflammation as the name suggests, is a much more severe form of the condition and has a knock-on effect that it can cause other health issues of a much greater seriousness. Including, but not limited to, inflammatory bowel disorder, diabetes, arthritis, hip dysplasia, and dermatitis and skin problems. All very serious conditions and in some cases life threatening. As said previously, in the case of acute inflammation given a little time it will disappear of its own accord, although you can speed the process up a little with some natural medications if you wish to which you almost certainly will as we are all suckers when it comes to helping out our best friend! However, when it comes to acute inflammation you must not leave this to get better by itself as it almost certainly will not and the time you delay in getting help may well result in complications that could make recovery take a good deal longer or might even prove to be fatal. So, this of course entails a visit to the vet, who upon confirming a diagnosis of acute inflammation will probably prescribe something like Novox, Previcox, Deramaxx or Rimadyl which are all NSAID’s – nonsteroidal anti-inflammatory drugs and are relatively safe. However, if after starting a course of one of these medications you notice that your dog exhibits any of the following; behavioural change, starts to eat less, has a reddening of the skin or develop scabs or suffers vomiting or diarrhoea, then it is highly likely it is having an adverse reaction to the medication and you should immediately stop giving it and return to the vet. 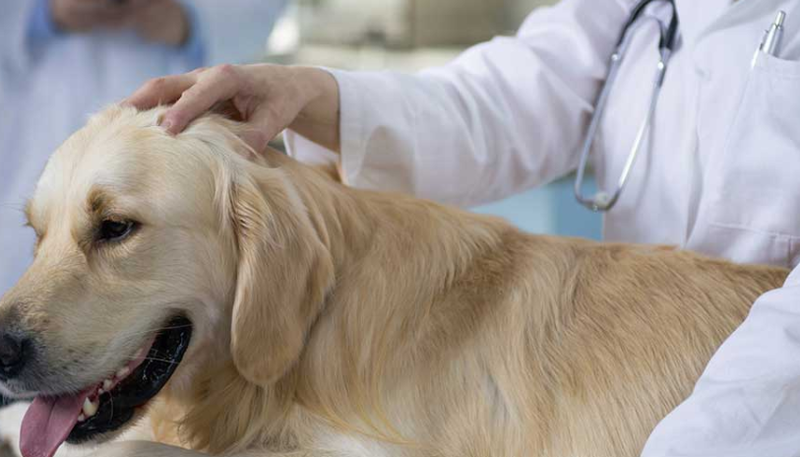 Some vets will suggest treating your dog’s condition with a more natural remedy if your pet is prone to persistent inflammatory problems or the condition is long term. This is because prolonged use of the most common NSAID’s may damage an animals kidneys and liver as these are the organs that process the drugs and can be severely harmed if they are asked to do so for lengthy periods or often but with only short respite between courses. Constant use can cause severe reactions resulting in kidney or liver failure which in turn can cause death. With that in mind, we turn to alternatives in the form of natural anti-inflammatories which contain none of the elements that can be harmful but, many believe, all of the benefits. The hardest part of deciding you want to use a natural remedy is finding out which one you should use from the plethora that is widely available. So, to begin, with we need to answer a few questions concerning our beloved pet and it’s condition. Firstly, and most obviously, what exactly is wrong with the dog? What form is the inflammation taking? Then you need to ask is the supplement you are looking at safe with few or no side effects and has it gone through clinical testing and trials? Will the new treatment be ok to take with any other existing medicines your dog may be taking? A great way to seek opinion and advice is to visit forums and blogs where people have shared their experience and can recommend or warn against treatments that until now, you may not have been familiar with. Regardless of all of the above, when you have finally chosen your preferred supplement you should always consult your vet before using it. They are after all, the experts and have your animals best interest at heart. Some natural remedies are more popular than others and are becoming more commonly used. Yucca for example which grows in the south western states of the USA and down throughout Central and South America is perhaps best known for producing the root vegetable of the same name and that looks a little like a Yam. Yucca has been found to be beneficial in treating and easing the sufferers of arthritis as well as contributing to the health of the skin and in giving the immune system a general boost, which is a sure way of helping to fight inflammatory diseases. Yucca Intensive is an example of a Yucca based supplement and a small amount when coupled together with water or food and gives fairly quick and sustainable relief. The saponin compounds that allow the Yucca to successfully assist inflammations is thought to be as powerful and successful in combatting inflammation as many prescription medicines but although perfectly safe to give your dog, can irritate the stomach lining and cause sickness in some animals so may not be suitable for everybody’s dogs – as with all medicines if this proves to be the case cease giving the patient the Yucca and seek alternatives. 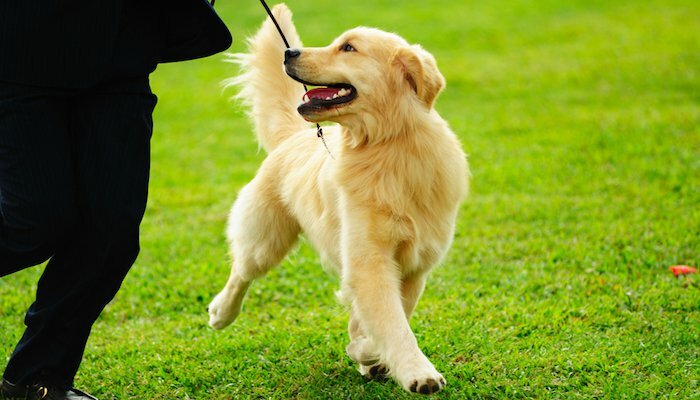 One of which could be Glucosamine and chondroitin sulfate which are two one hundred percent natural and organic blends that are rapidly gaining in popularity amongst the dog owning community. Both compounds can be found in the cartilage of animals and sea life as well as the shells of shell fish. As both have been shown to provide relief from inflammation and pain in joints, they are an obvious choice to help ease the issue. Super Joint Enhancer Chews by 1800 Pet Meds and Dasuquin MSM Chewable Tablets both contain glucosamine and chondroitin so will benefit your dog’s joints by building and repairing cartilage tissue which will aid in protecting the animal’s joints. Being extremely versatile, glucosamine and chondroitin can also be used to treat a number of other inflammation-based ailments. Fish Oil is a supplement used by millions of people world wide and is famed for its treatment of joint pain and arthritis and it can be just as effective for our canine counterparts as it is for us. Its high concentration of Omega-3 fats make it perfect for treating Inflammatory Bowel Syndrome in dogs but it does not come without some concerns. A recent article in Dogs Naturally Magazine suggested that thanks to our pollution of the planet, sea-life can contain toxins such as Mercury, Arsenic and Lead which fish ingest via their environment. 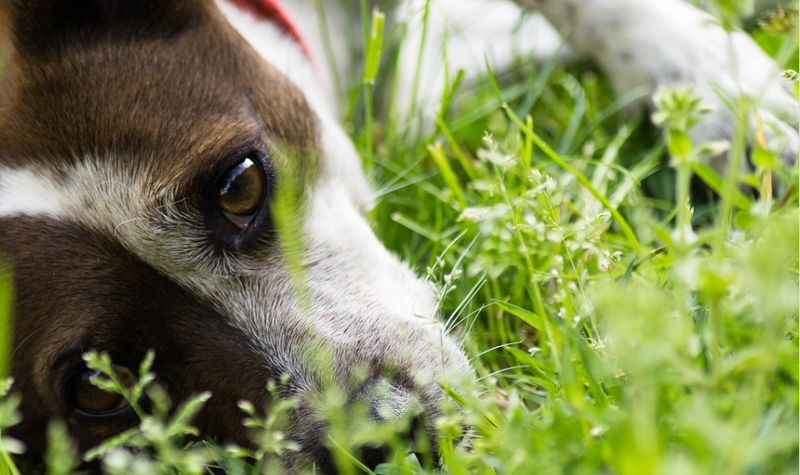 These toxins can seriously affect a dogs health – and that of a human of course. Equally problematic is the fact that Omega-3 fats are known to be volatile and, when exposed to oxygen, can break down into smaller elements and free radicals which can damage a dog’s general well-being. Phytoplankton is also thought to be an extremely powerful anti-toxin with anti-inflammatory benefits with Marine Phytoplankton Powder one supplement gaining in popularity. As it also comes from the ocean’s phytoplankton obviously carries the same risks of toxic contamination as fish oil, so as said earlier, it is worth doing plenty of research into this subject. CBD oil is widely used as a treatment for many health issues and can be effective in the battle against inflammatory related disease and ailments both in our dogs and ourselves. For those who do not know, CBD oil, or cannabidiol, derives from the cannabis or, more accurately, hemp plant as the name suggests. Unlike cannabis, Hemp oil does not contain high amounts of THC (tetrahydrocannabinol), the element of hemp that creates the euphoric state when used as a narcotic. It is becoming widely farmed in the US and is legal in over thirty states and is not addictive or harmful like its opiate counterpart and most certainly will not get your dog ‘high’. Which is just as well as it is expensive enough keeping our seven stone German Shepherd fed without him continually having the munchies! CBD oil is one of the most popular natural supplements for dogs. Many, many people have reported cases where an old dog looks to be coming to the end of its time as it battles hip dysplasia and loses its will to live. It lies around the house with none of the life it used to be so happy to enjoy, refuses to go for a walk or to take part in any physical activity and overall, is a shadow of its former self. But then somebody mentions CBD to the owner who at first may be reluctant to try it having never heard of it before or mistakenly attaches a recreational drug stigma to it so is reluctant to even purchase it. Thankfully, they do relent and begin administering the treatment to the dog. The reported results have widely been staggering. Within weeks dogs using CBD were finding their mojo and returning to something like their old selves. All round condition improved, and dogs were wanting to get outside again, and vets were reporting reduced swelling and pain in those dogs who had been suffering in their hips. A particular case study was that of a large Old English Mastiff. This dog was enduring dysplasia and arthritis and had been prescribed 150mg of Tramadol a day. A hugely powerful and expensive drug that could not have been good for its general health in such vast amounts. After hearing of CBD, the owners gave it a try and to their delight it was a success. Within a month the dog was heading back to its old self again, its energy and love for life had returned and it was no longer in the trance like state the large amount of Tramadol had induced. The irony of the part of a plant wrongly associated with a drug use clearing the dogs head should not be ignored. The Endocannabinoid System is a physiological system that naturally occurs in the bodies of all mammals. 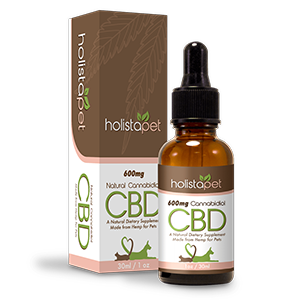 CBD interacts with this system by helping to create cannabinoids that are produced naturally by a dogs body. Although research is still new and sketchy, this stimulation of cannabinoids is thought to encourage anti-inflammatory responses in the body and reaches out to all types of related conditions, not just individual problems. 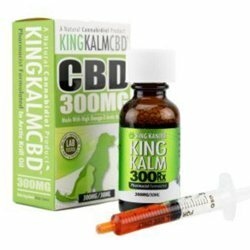 CBD treatment is easy to administer and comes in the form of treats, capsules and oil. 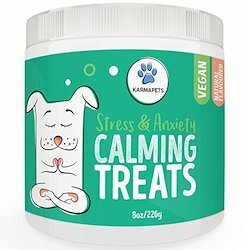 The treats are the easiest to get your dog to take, the capsules can be hidden in food and the oils can be measured out with a dropper and again, hidden in a meal, although if your dog is good enough to allow you to drop a few beads of oil under its tongue, this is a quicker and more effective method of administration. 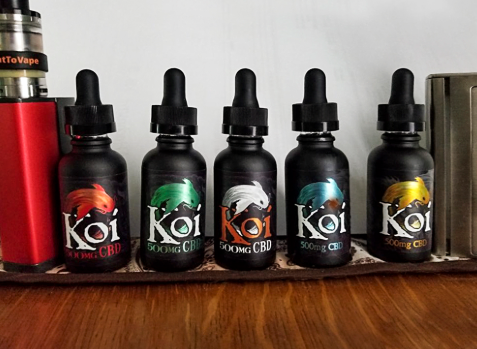 There are many brands of CBD oil available, so it pays to shop around and find some reliable reviews and reports. King Kanine, Canna-pet and Holista-pet are extremely poplar brands with many excellent reviews. But research the various products available yourself using the criteria suggested earlier in this article. Hopefully you will soon find the right supplement for your dog and will start to see its rejuvenation unfold before you. And when you do find that treatment be sure to let people know about the benefits of CBD oil and the supplement you use by leaving comments and reviews where you can. 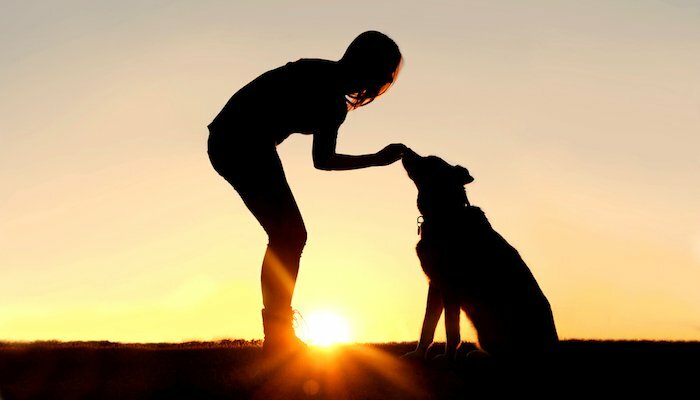 After all, we all want the finest quality of life for all of our man’s best friends.